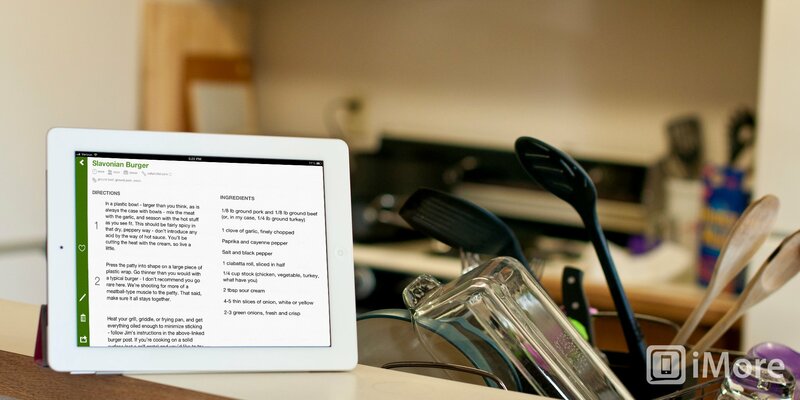 Basil — A Smart Recipe Book For iPad is app that lets you save recipes for around the web and keep them organized. It features a very simple and basic UI so that it's easy to see and use while cooking. To add recipes to Basil, you must first install a bookmarklet that allows you to add recipes with just one tap. Basil includes very simple, easy to follow direction to installing this bookmarklet to your bookmarks in Safari. It takes less than a minute. Once your bookmarklet is all set up, all you need to do is find recipes from one of the 10 supported websites. You can do this from directly within Basil or with Safari. From Basil, you just tap Save when you find a recipe and with Safari, you'll just tap on the bookmark you created for adding a recipe to Basil. Both of these actions will give you a popup that lets you select a meal type and cuisine type. Choosing these will help keep your recipes organized. On its own, Basil will also tag the recipe with the main ingredients so that you don't have to. As your recipe list grows, it'll be hard to find what your looking for, so Basil lets you sort by cuisine type, meal type, or main ingredients. You can also perform full-text searches. Each recipe features two columns. The one on the right is a list of all the ingredients. The list on the left is the directions. A great feature included with the directions is that if a step is timed-based (like "bake for 1 hour"), tapping on the step will turn the length of time into a button that when pressed, starts a timer for the listed amount of time. You can also customize each recipe by editing the directions and ingredients. Additionally, you can mark recipes as favorites and share recipes to email and Twitter. Oddly, emailing a recipe lists the directions out of order, but still has the correct number in front of each step. Basil—A Smart Recipe Book For iPad is a fantastic app for building an organized collection of recipes. My only real complaint (other than the weird email bug) is that there isn't any pictures associated with the recipes. When trying to decide on a meal to cook, I like to browse photos of my options. I also like to compare my final results with the photos as a way to judge whether I did a good job or not (usually not). At least Basil does include a link to the recipe's original location so that I can see the pictures that the website provided.